Rosa Moll is a Leakey Foundation Baldwin Fellow. She is a PhD candidate and archaeologist focusing on Earlier Stone Age lithic technological strategies. She is studying at the University of Witwatersrand in Johannesburg, South Africa, and working in the Cradle of Humankind. It is rare as an archaeologist to get the opportunity to visit the sites that define our human history around the world. 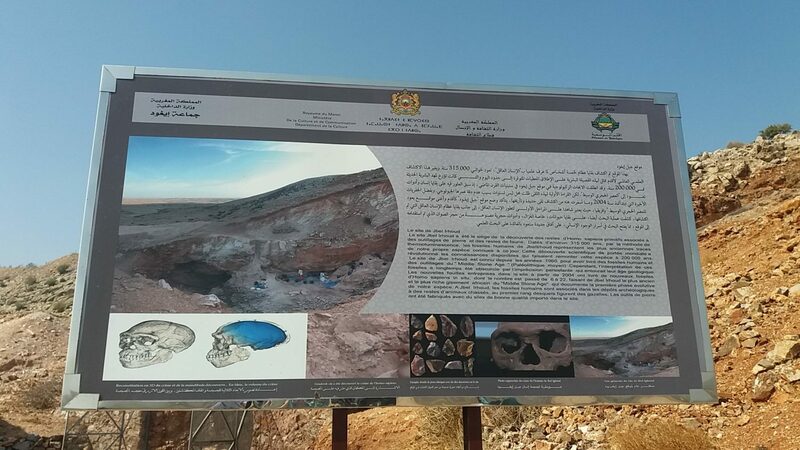 Recently, I was fortunate enough to visit the site of Jebel Irhoud in Morocco, famous for the oldest modern Homo sapiens fossils in the world. I got to visit because I attended the Pan-African Archaeological Congress in September. PANAF was held at Sciences Faculty of Mohammed V University in Rabat, Morocco from 11-14 September. The congress is held every four years and brings together researchers from across the continent and abroad to present on their wide-ranging African archaeology. A huge thank you needs to go to the organizing committee and university for accommodating such an important meeting. My research is on Early Stone Age stone tools, so the most exciting session for me was “Recent Advances in Early Stone Age Studies in Africa, New Insights on the Oldowan and the Acheulian Stone Technology.” It was organized by Mohammed Sahnouni and Sileshi Semaw and brought together some of the most distinguished researchers in the field. It was riveting to listen to the talks about sites across eastern and northern Africa and to compare it with my own work in South Africa. 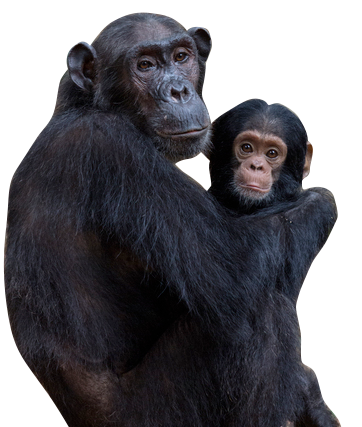 It illustrated the vast richness of Early Stone Age hominin mobility and technology. As a young PhD candidate, I am often in awe of these researchers whose works I devoured for years as an undergraduate and masters student, so it is truly an honor to meet them and discuss my own work with them. 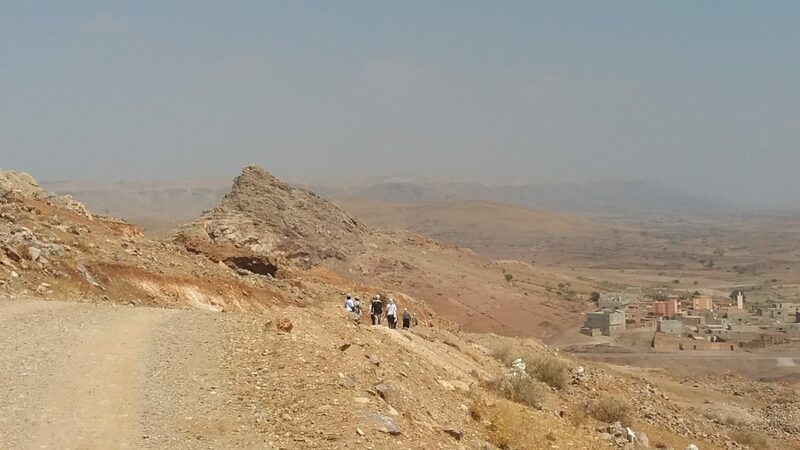 A definite highlight of the entire trip was visiting the site of Jebel Irhoud. 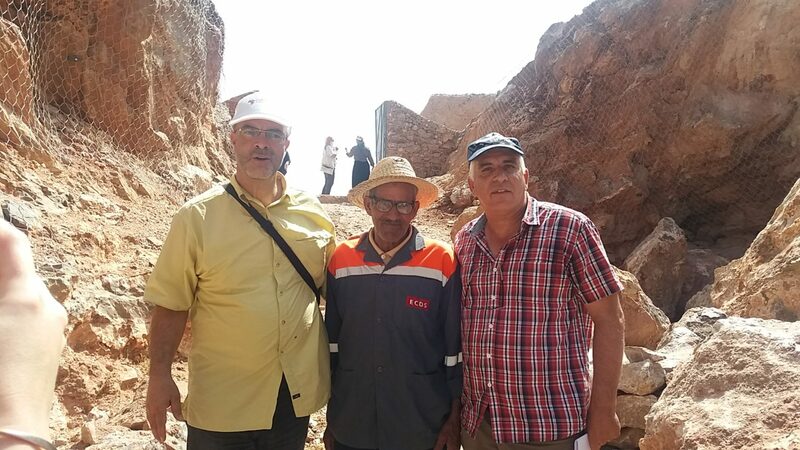 It was organized as a post-conference excursion after a few days of visiting prehistoric sites around Rabat and in Casablanca. What made the trip even more special was meeting the people involved in the site, the community pride, and learning the meaning of the site for the Moroccan people. The site itself is not huge but the surrounding is breathtaking. It is located on the side of a tall hill protruding out of a vast flat area of land that stretched into the desert. From this spot, one can see up to 40 kilometers away, and it gives a sense of the security it would have provided early Homo sapiens. 85% of the lithic material is made of flint from sources 30 kilometers away, and so people would have traveled long distances over the landscape that they observed. I could speak for days about the actual site but after the visit, we experienced something that confirmed my love of research and the importance of archaeology. We were invited to lunch with the community elders, including a man who was over 100 years old who made the effort to come and meet us. The community members happily engaged with us and thanked us as scientists for highlighting the importance of Jebel Irhoud for the world. It was so humbling to see the pride of the community in the site, as well as the thanks we received for coming to see the area. We may not have been researchers on the site but we were told that we must transmit the meaning of the site and the pride of the community. It is moments like these where one recognizes how much value history has for people and we as archaeologists need to remember that. 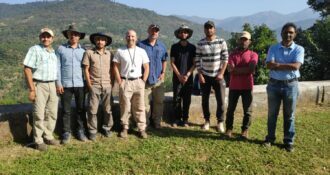 Leakey Foundation grantee Chris Gilbert has returned from a successful field season in the Indian Lower Siwaliks. 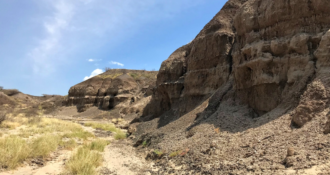 He and his team revisited known fossil localities, discovered new ones, collected detailed geological measurements, and found an additional specimen of the fossil ape Sivapithecus indicus.